Right now, I am in another remodeling kick in the house. It seems that happens each time I am pregnant with a surrogate baby. It must be my way of nesting since I don't actually need to prepare for a baby to come home. Regardless, we have already put up a wooden plank accent wall in the living room, and are currently redoing the kitchen, so next up will be my bedroom. Most of the room will be painted white, but I have been looking for accent wall ideas to help add a pop of color when we are done painting. Below are some of the best DIY accent wall patterns from around the Internet. Let me know which is your favorite! 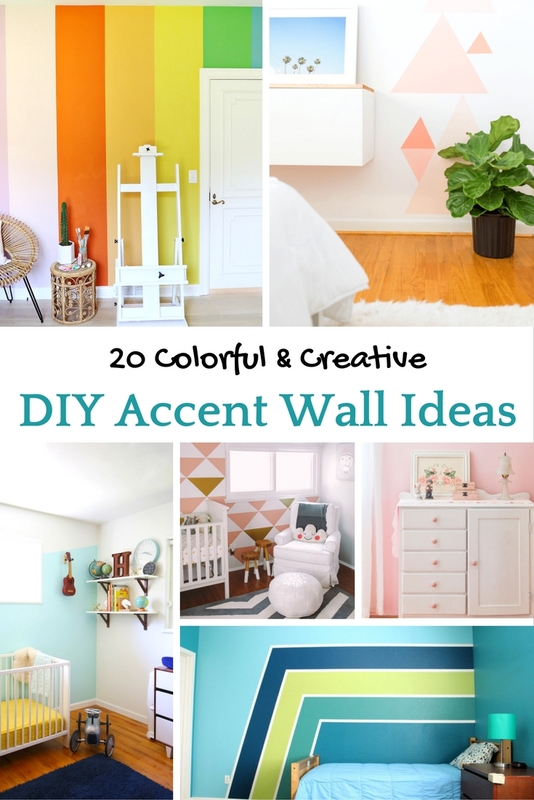 Have you used any of the accent wall ideas above in your own home? Have a different one that you would like to share? Feel free to leave it in the comments below or share this post on Pinterest to save for later or share with friends!